The pool for generations of family fun. An above ground pool is the natural choice for affordability, flexibility and low maintenance. 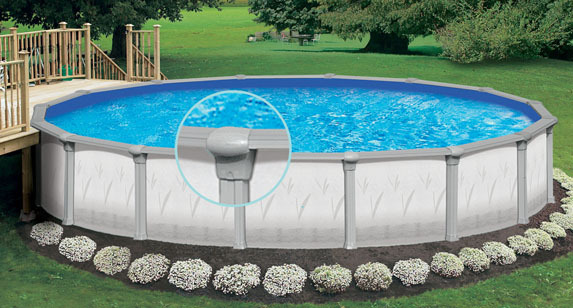 Atlantic Pools is the reputable choice for quality, variety and long-term dependability. 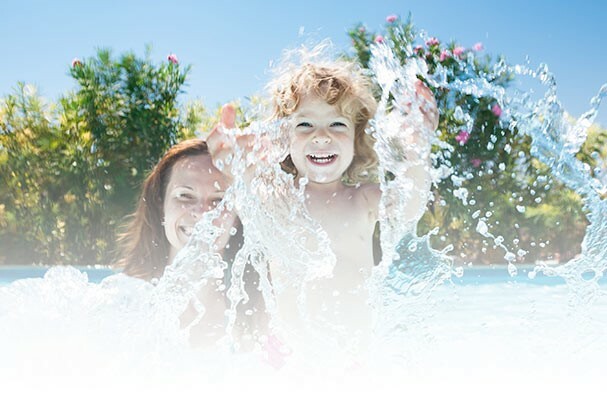 As the world's largest manufacturer of family-sized above ground steel pools, we offer a wide selection of models to choose from to fit any budget and to enhance any backyard setting. Loads of worry-free fun, recreation and relaxation are packed into every one of our pools. Baked-on Texture-Kote finish on all top ledges and uprights and Protectoloc wall coating provides long-lasting protection against scratching, corrosion and UV rays. 8" Top ledges of roll formed steel for strength and unique styling. 6" Uprights, provide attractive, full-strength upright support. Two-piece resin ledge covers and footcovers provide precise fit, extra strength and decorative finish. ONLY AVAILABLE AS CASH & CARRY, WE DO NOT INSTALL THIS TYPE OF POOL.